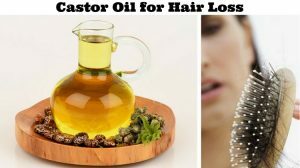 How to Use Castor Oil for Hair Loss? Hair Loss or Alopecia is one of the most prevalent conditions that affect more than 80 million men and women in America. Generally, it is normal to lose 80 to 100 strands of hair a day. But it becomes a matter of concern when large clumps of hair come off while washing your hair or combing your head. Persistent hair loss leads to a thin hair, receding hair line and appearance of bald patches. But, there are a number of natural ways to treat the problem using home remedies such as castor oil or onion. Today, let’s learn regarding castor oil for hair loss in detail. Is Castor Oil Effective for Hair Loss? The potent antibacterial and anti-fungal properties of castor oil treat follliculitus, dandruff and other scalp infections that lead to hair loss. Ricinoleic acid, an omega-9 fatty acid present in it boosts blood circulation which supplies nutrients and oxygen to the hair follicles. This promotes strong and healthy hair growth. Ricinoleic acid balances the pH of the scalp which replenishes the natural oils and corrects the damaged hair roots. Antioxidants in castor oil support the keratin structure in the hair to make it stronger and smoother. This helps to prevent breakage and premature hair fall. Castor oil can be used alone or mixed with other ingredients as an effective natural treatment for hair loss. We have mentioned several methods using castor oil for your convenience. Take 1 to 2 tablespoons of castor oil in a bowl. Damp your hair, part it into sections and apply the oil to the scalp using your fingers. Leave the application for few hours or overnight. Wash your hair and scalp with a shampoo. Coconut oil contains lauric acid that binds to the hair proteins and prevents the breakage of hair strands. The antiviral, antifungal and antibacterial properties of coconut oil fight off scalp infections that cause hair loss. Take 2 tablespoons of coconut oil and 1 tablespoon of castor oil in a small glass container. Secure the lid and shake the container to mix the oils. Heat some water in a pan and place the glass container in the hot water for 5 minutes. Wet your hair and apply the oil mixture to your scalp and hair. Massage your scalp with your finger tips for 5 minutes and then put on a shower cap. Wait for a couple of hours and wash your hair with a mild shampoo. Almond oil is a rich source of nutrients like omega-3 acids, vitamin E, magnesium and phospholipids that nourish the hair follicles and treat the damaged follicles. Take 1 tablespoon of castor oil and 2 tablespoons of almond oil in a small glass container. Mix well to let the ingredients incorporate. Wet your hair and apply this oil mixture to your scalp and hair. Sesame oil is a great source of nutrients like vitamin E, B-complex, magnesium, calcium, phosphorus and protein that nourishes the hair follicles and promotes hair regrowth. It also boosts blood circulation to the scalp and treats the damages roots. Heat some olive oil or coconut oil in a pan and set aside. Add a tablespoon each of sesame oil and castor oil to it. Apply this lukewarm oil mixture to your scalp and hair. Cover your head with a warm towel and wait for an hour. Repeat this remedy 1 to 2 times per week. The moisturizing effect of olive oil prevents dryness of the scalp and hair. Its antimicrobial properties help to deal with scalp infections like dandruff. The nutrients in olive oil strengthen the hair strands and reduce breakage. Take 2 tablespoons of extra virgin olive oil and 1 tablespoon of castor oil in a small glass container. Wet your hair and apply this oil mixture to scalp and hair. Massage the scalp with finger tips for 5 minutes and then put on a shower cap. Wait for a couple of hours and wash with a mild shampoo. Repeat this remedy twice every week. Capsaicin, the active compound present in cayenne pepper triggers the hair follicles in the scalp by boosting blood flow to the hair roots and induces hair growth. Combine 1 teaspoon of cayenne pepper tincture and 1 tablespoon each of coconut oil and castor oil. Stir the ingredients using a spoon and apply it to the scalp using a cotton ball or dye brush. Put on a shower cap and leave it on for a couple of hours. Repeat this procedure 1 to 2 times a week. Note: You can add olive oil instead of coconut oil. Iodine kills the fungus that damages hair follicles and its powerful antimicrobial properties help to fight off scalp infections which results in hair fall. Wash your hair and dry your scalp thoroughly. Dip a cotton ball in castor oil and squeeze out the excess oil. Apply a few drops of white iodine on the cotton ball and apply it on the scalp. Rub it on the areas where the hair has thinned. Gently massage your scalp for a few minutes and leave it on. Follow this treatment twice a day for a few weeks. The composition of jojoba oil is very much similar to the natural oils produced by the scalp. So, application of jojoba oil helps to balance sebum production in the scalp while the important vitamins and minerals present in the oil promotes hair growth. Take 1 tablespoon of castor oil and 2 tablespoons of jojoba oil in a container. Mix the oils thoroughly with a spoon and apply it to wet hair and scalp. Cover your head with a hot towel and leave it on for a couple of hours. Follow this process 1 to 2 times per week. Eggs contain all the essential nutrients for healthy hair such as protein, sulphur, phosphorus, selenium, iodine, zinc, etc. that nourish and strengthen the hair follicles. Take 2 tablespoons of castor oil and add 1 whole egg to it. Whip the ingredients until they are mixed well. Cover your head with a shower cap and wait for 30 to 40 minutes. Note – If your hair is excessively dry then just use the egg yolk instead of the whole egg. Emu oil is prepared from the fat extracted from Emu birds. Emu oil is a rich source of omega-3, 5 and 9 fatty acids that promotes re-growth of hair from the dermal papilla. Emu oil cleans up the clogged hair follicles and prevents hair thinning. Mix castor oil and emu oil in a 50:50 ratio. Part your hair into sections and apply this mixture to your scalp as well as the hair. Put on a shower cap and let the oil sits for 3 hours. Repeat this remedy 3 to 4 times per week. While castor oil is generally safe for topical use, but some people might experience side effects and allergic reactions. So, patch test before using it. Few symptoms of allergic reaction to castor oil include itching, redness, rashes, burning sensation, swelling of the face, dizziness and difficulty in breathing. It is best to opt for organic cold pressed castor oil or Jamaican black castor oil. Castor oil remedies for hair loss work best on damp hair. For maximizing the effectiveness, it is recommended to leave it on for several hours or overnight. Treat your scalp and hair with a hot oil massage twice every week. Limit the use of heated styling tools, blow dryers, etc. Avoid using hair dyes, chemical-laden hair products and hair colours. Follow a healthy diet rich in proteins, healthy fats, vitamins, minerals and fibre. Reduce stress by practicing yoga, meditation and other relaxing activities. Select a mild shampoo and conditioner as per your hair type. Try out any one of the castor oil methods to prevent hair loss and encourage new hair growth. Don’t forget to share your experience with us in the comment section below. 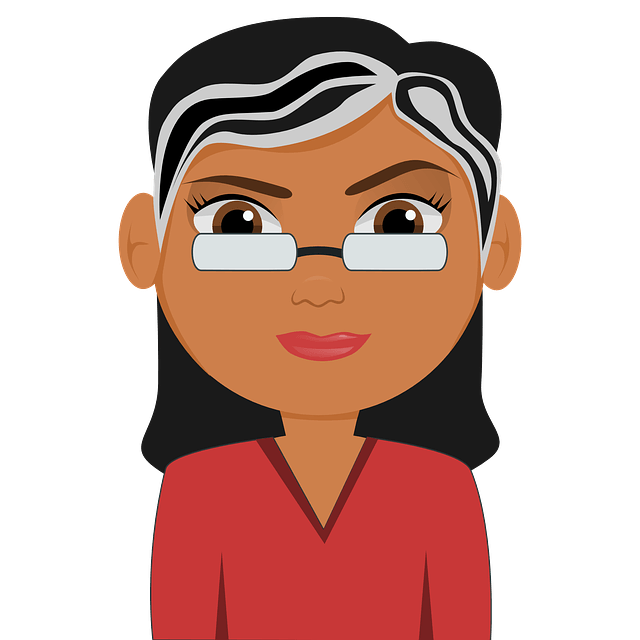 Is it necessary to use castor oil with another oil for hair loss ? Can we use castor oil only for hair loss so what will be the method??? Yes, you can use castor oil alone to treat hair loss. Just warm up enough amounts of castor oil and gently massage in on the scalp for few minutes. Leave it on overnight or few hours. Wash normally with mild shampoo and water.